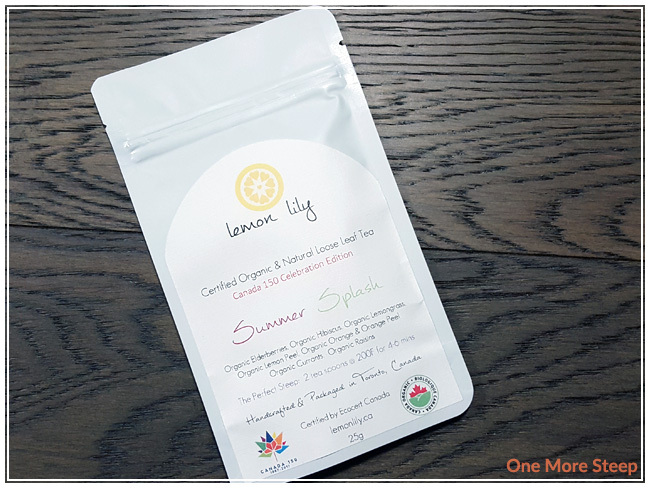 Lemon Lily’s Summer Splash came to me as part of The Sugared Teacup’s July themed subscription box. Summer Splash came to me in a nice white, resealable bag. I’m a fan of packaging that is useful, so the seal is always appreciated. When I opened the bag, the first thing I smelled was berries and then there was a hint of lemongrass. This tea has some heavy ingredients! I estimate that I could probably get about ~3 teapots worth of tea from this bag (25g). Summer Splash is a special Canada 150 Celebration tea. 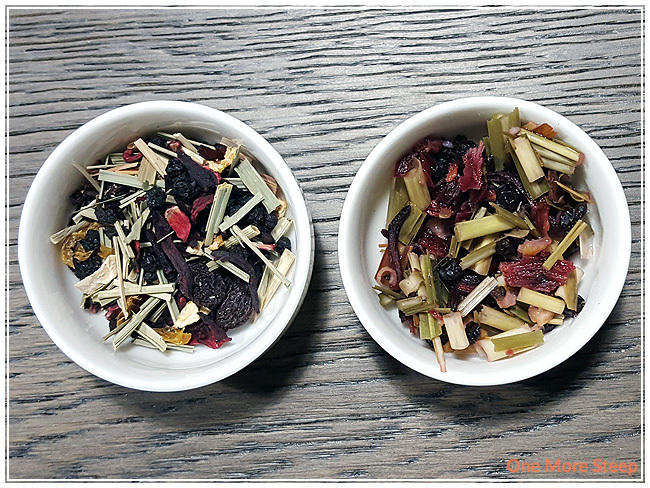 Summer Splash is made up of: organic elderberries, organic hibiscus, organic lemongrass, organic lemon peel, organic orange and orange peel, organic currents and organic raisins. As per their website Lemon Lily is a certified organic tea company (located in Canada!) that uses all 100% certified organic ingredients. I’ve classified this herbal infusion as being ‘flavoured’ as opposed to ‘straight’ because it contains more than one ingredient (which is my usual requirement to be labelled as straight). Lemon Lily recommends steeping Summer Splash in 200°F (93°C) water for 4-6 minutes. My initial steep of Summer Splash was for 5 minutes. Summer Splash steeps to a bright ruby red, it’s so pretty! The aroma of this tea is primarily berries with some hibiscus in it. 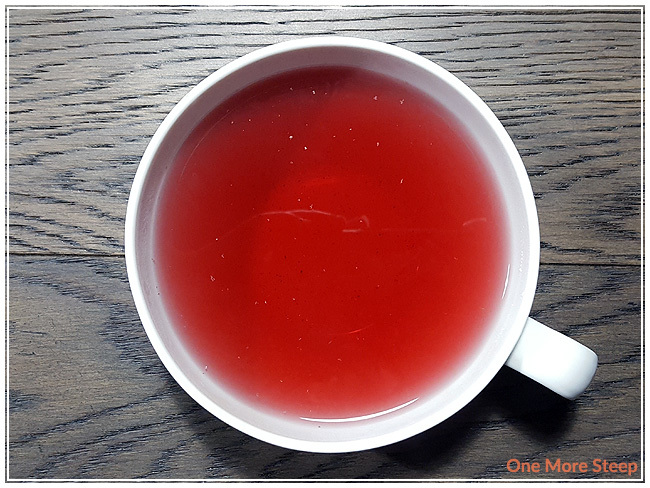 When I sipped this tea, the only thing that went through my mind was it was very tart. Quite a bit of mouth puckering going on for me when I sipped this. With the addition of honey, the tartness toned down a lot and I could taste the citrus flavours in it, as well as the berry flavour. I did not really like this tea hot, but Lemon Lily does list Summer Splash under their iced teas, so I poured it out into a bottle to chill in the fridge. Verdict? 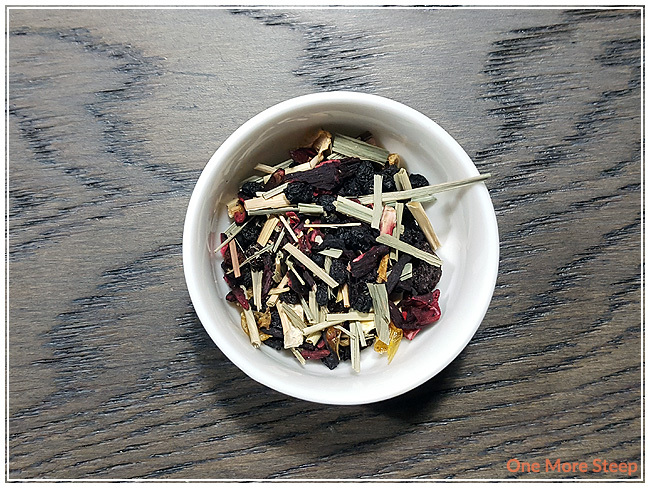 It’s incredible iced – the level of fruitiness is just where I like it for an iced tea and it has a refreshing quality to it. 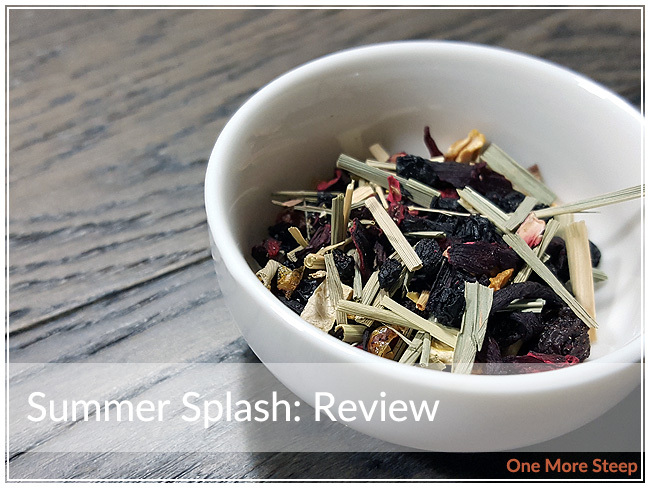 I attempted to resteep Summer Splash and found the second steep to be a bit lacking in terms of flavour. It was missing the intensity of hibiscus and citrus that I found in the first steep. I liked Lemon Lily’s Summer Splash. I think this herbal infusion is destined to be an iced tea only, and would highly recommend either cold steeping it or chilling it down with some ice cubes. It’s just so much better cold than it is hot (Lemon Lily clearly has the right idea since they list it under their iced teas). I find that the hibiscus can be overwhelmingly tart if you don’t do anything after the infusion is done. I would highly recommend adding some kind of sweetener to help tone down the tartness, it really helps to allow you to realize the other flavours in there. Overall, I think it makes a fantastic iced tea, but it just needs a little help in making it palatable.